The National Assembly’s (NA) Standing Committee on Law and Justice on Tuesday recommended the government to proceed against Muttahida Qaumi Movement’s founder Altaf Hussain under Article 6 and 17 of the Constitution for delivering anti-Pakistan speech. “Speaking against Pakistan and seeking help from India and Israel is a shameful act,” said a condemnation resolution moved by Pakistan Tehreek-e-Insaf (PTI) lawmaker Arif Alvi during the NA body meeting. “Speech of Altaf cannot be tolerated because it is in violation of the Constitution. Words of MQM’s chief are tantamount to high treason,” the resolution said. The committee urged the government to initiate legal proceedings against Altaf Hussain for doing hate speech and raising anti-Pakistan slogans during a party gathering. All the members of the law and justice committee voted for the resolution. Iqbal Qadri, MQM’s only member in the committee, did not attend the meeting. Meanwhile, PPP has also submitted a resolution in the NA’s secretariat seeking legal action against MQM’s chief. 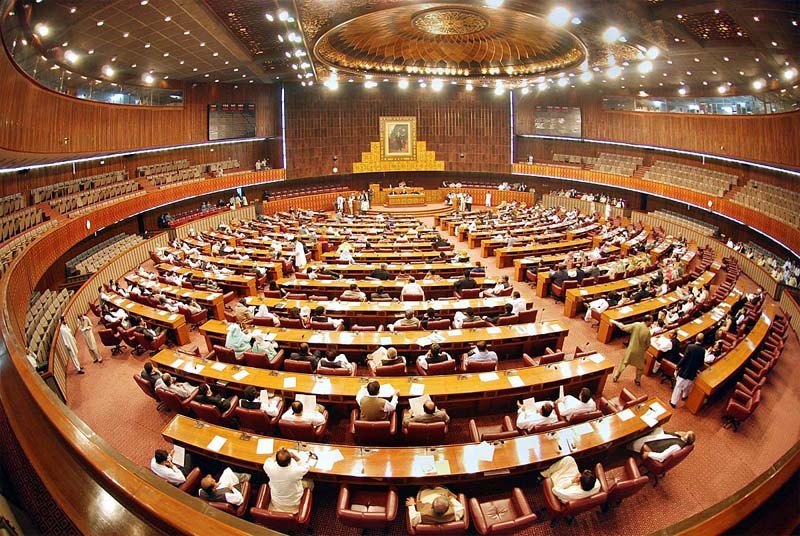 “This House vociferously condemns Altaf Hussain’s anti-Pakistan speeches in recent days while addressing his party workers,” the PPP’s resolution read. “His [Altaf’s] derogatory remarks against the country which gave him an identity and standing in national and international arena are totally unacceptable to each and every person loyal to this country,” the PPP maintained. We demand an immediate and stern action against him and all those elements that were part of such treachery, the PPP legislature urged. PPP also condemned the attacks carried out against media houses, journalists on the provocation of Altaf Hussain and demanded that those who adopted such violent course to restrain the freedom of media should be brought before the court of law. “Pakistan is home to more than 200 million brave and patriotic Pakistanis who stood resolute and determined against every force whosoever intended to malign this country and will continue to do so in future as well,” the resolution held. On the other hand a petition has also been submitted in the Supreme Court for imposing ban on MQM. It was submitted by Tariq Asad, the head of National Council of Human Rights. The petitioner also demanded to change the name of Altaf Hussain University in Sindh.